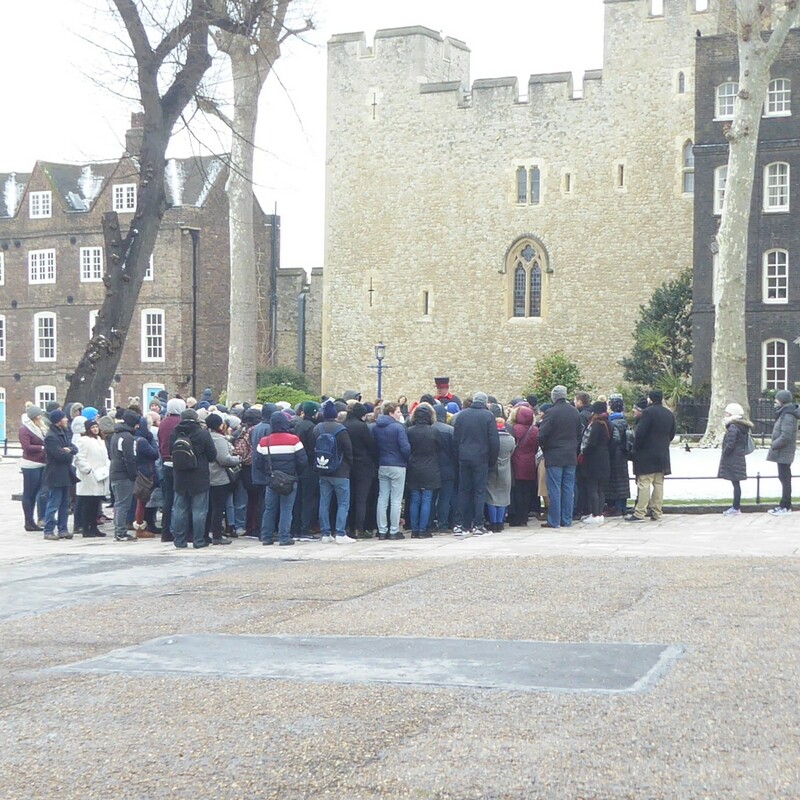 The Tower takes this bad weather in its stride, just as it has never cancelled the ancient Ceremony Of The Keys in the past hundreds of years. 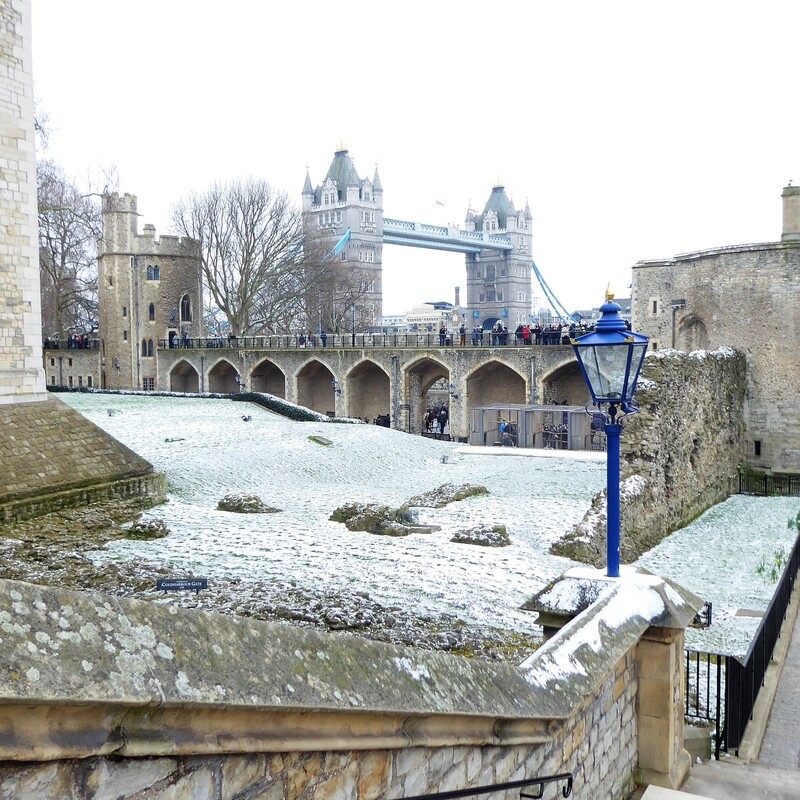 This has certainly been the coldest weather I have experienced there, yet on Sunday it was still smiles and humour from the Yeoman Warders and other staff as always. 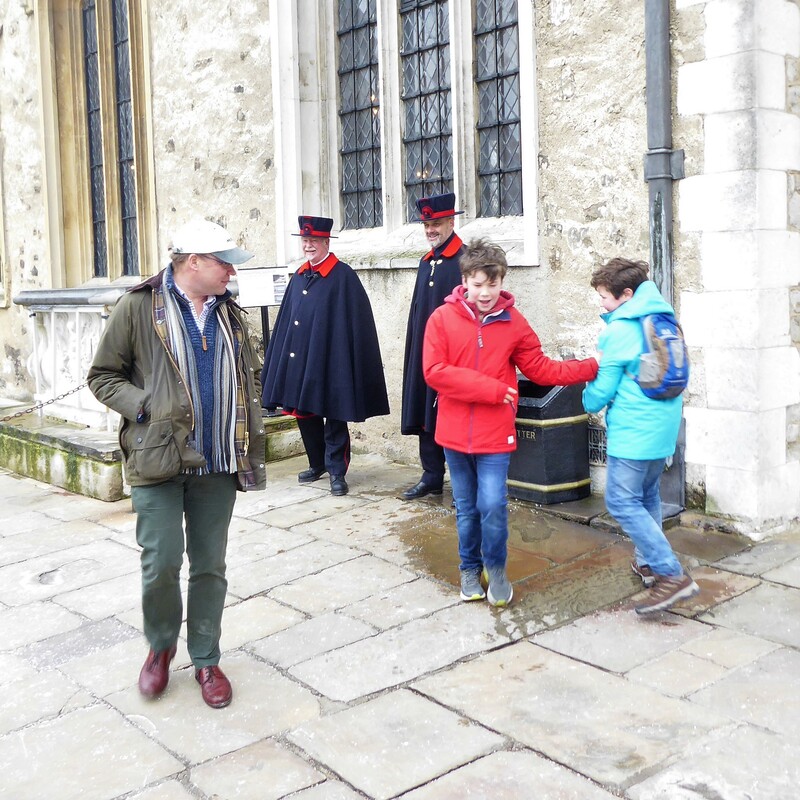 One light casualty was the Chaplain, who greeted everyone to the Sunday service warmly as always, but confided that the heating in his house had been affected, so he had endured a very cold army style shower and was grateful for the warmth in the Chapel Royal. I didn’t make any further enquiries, though surely there would have been many more anecdotes available. While taking these pics, I preferred to reflect on the dedication and sense of duty that thrive in this unique place. 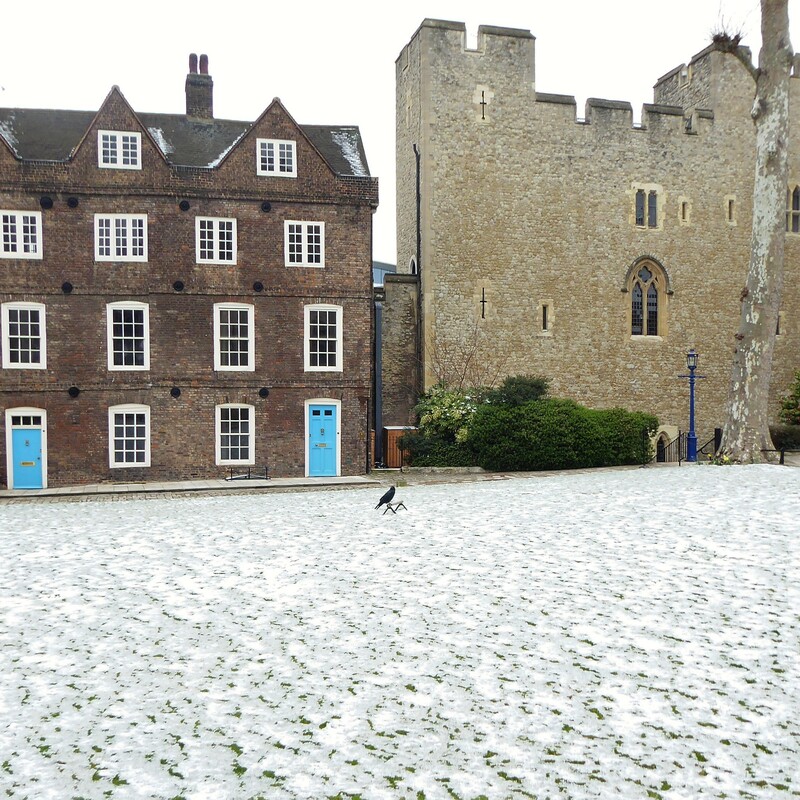 Come ‘beast from the east,’ security alerts or whatever else, visitors will always be given the best experience possible here at the Tower of London. 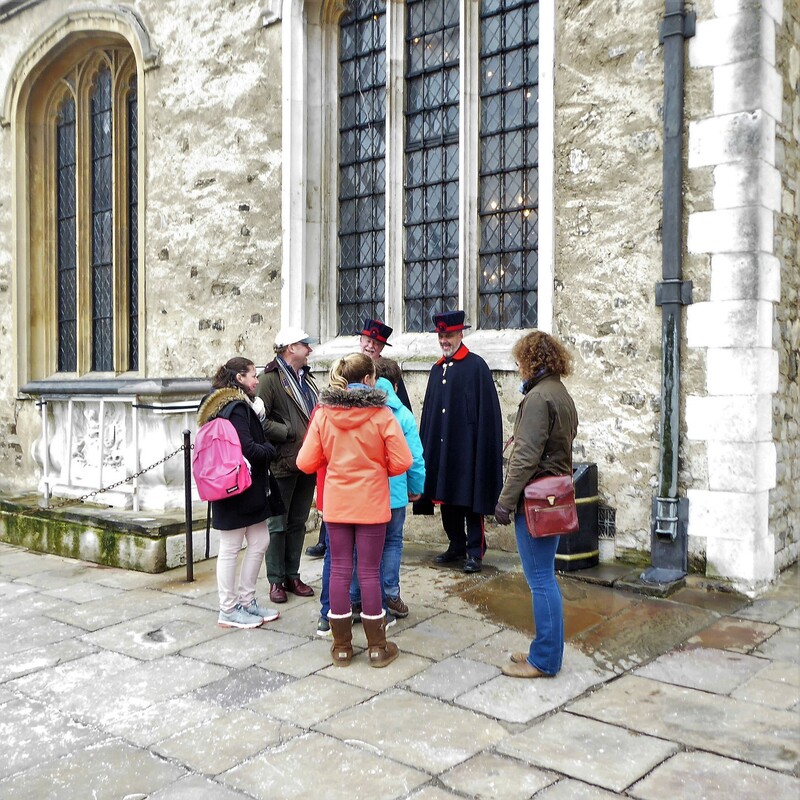 Yeoman Warder Coming To The End Of His Guided Tour.